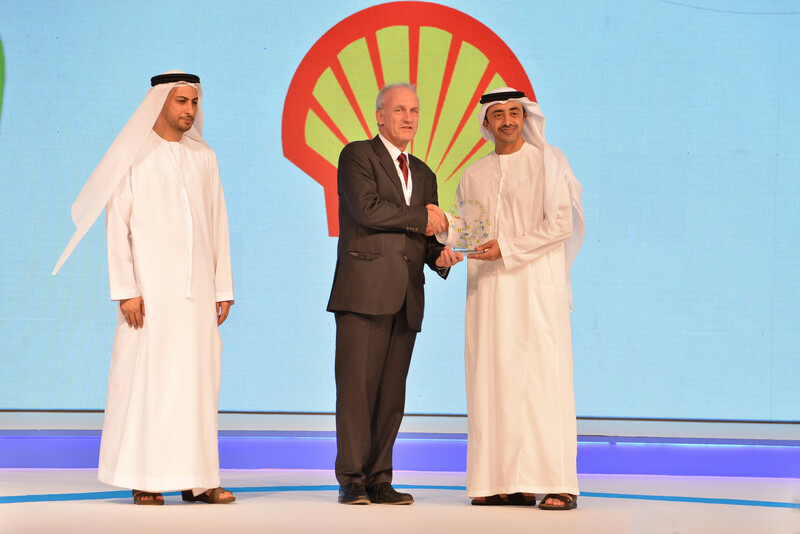 In an official ceremony held in Abu Dhabi last week, HH Sheikh Abdullah bin Zayed, Minister of Foreign Affairs and the Chairman of the Emirates Foundation, presented Shell with an award in recognition of the company’s contributions towards the success of the Think Science Fair 2015. 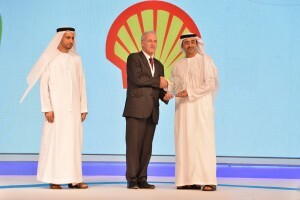 Shell’s partnership with the Emirates Foundation, which is in line with its social investment vision, began when the foundation was first established. Over the years, Shell has been an active partner, playing an important role in supporting the foundation’s initiatives to support the UAE towards fulfilling its vision 2021 towards a knowledge-based economy. Through their strategic alliance, Shell and the Emirates Foundation are working together to share knowledge, expertise, models and networks to improve social impact as well as to help promote venture philanthropy for the youth of the UAE and the Middle East. Think Science is a platform for UAE youth to develop their knowledge in the field of Science and Technology and to help them pursue their curiosity/passion in investigating solutions that tackle real world problems. The Shell stand at the exhibition provided an opportunity and a platform to connect with students and educate them about World Class Technology at Shell. More than 600 young UAE science students – aged between 15 and 24 – from public and private schools and universities exhibited their scientific inventions and took part in the “Think Science” Competition, which was attended by high level officials, in addition to science academics and professionals from across the country and judged by a panel of industry experts including Basil Elzein, Technical Services Manager at Shell MENA.